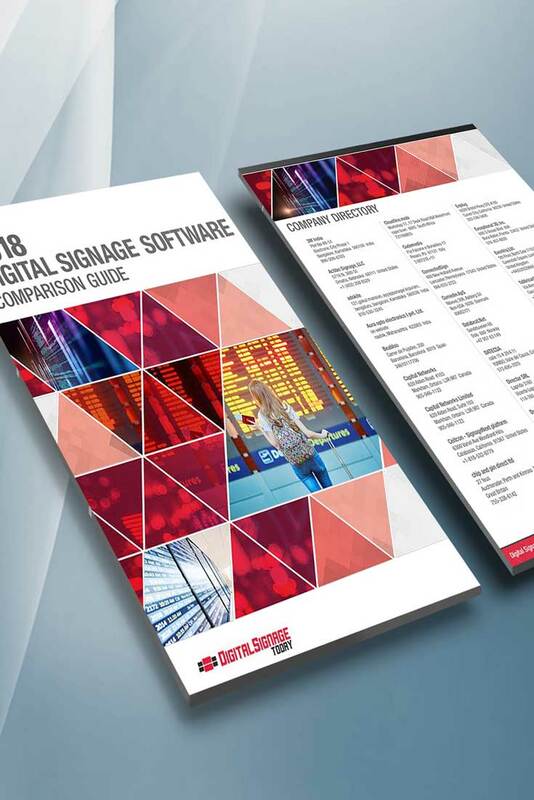 It is with pride that PARTTEAM & OEMKIOSKS announces that QMAGINE SIGN software has been listed in the 2018 Digital Signage Software Comparison Guide. The Digital Signage Software Comparison Guide is a benchmark in the digital signage market, making it possible to compare and contrast software packages based on hundreds of features and services. Does the software provide statistics? What kind of services does the software integrate? Does the software has RSS feed? How many content channels does it support? Among other important questions, they address the needs of most buyers of digital signage software. The QMAGINE SIGN software, developed by the PARTTEAM & OEMKIOSKS team, presents complete digital signage solutions. A tool that in an appealing way, has surprising results to the public. The system allows the creation of multimedia contents (images, news, videos, web content, etc.) and their presentation in various displays, digital billboards or multimedia kiosks. The content update can be done remotely, a feature that is very advantageous and allows the reduction of costs and resources.